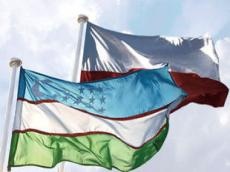 Representatives of Uzbekistan’s Kashkadarya Region visited Poland to discuss further development of interregional cooperation, Trend reports via the Uzbek media. During the visit, meetings were held with the leadership of 14 Polish companies operating in the agricultural sector, energy, construction, medical, chemical and other sectors of the economy. The Uzbek delegation visited a number of Polish enterprises, including a plant for production of the Milex drip irrigation equipment in Dobrików, an enterprise for the production of the Selena building materials in Wroclaw, and also medical institutions in Warsaw, in particular, an interventional cardiology clinic and the versatile Medicover hospital. The Polish partners were provided with detailed information about the economic, financial and investment potential of Uzbekistan, needs, export and investment opportunities of the Kashkadarya Region. Heads of such companies as ELQ (power equipment), Selena (building materials), Milex (irrigation systems), Bartek (shoe industry), Intermag (chemical fertilizers), Sky Bone and Contraktus (cattle and poultry), Dolinski and Arno (intensive gardening), Irimed (healthcare) welcomed the large-scale reforms and openness policies that have been pursued in Uzbekistan in recent years. They confirmed their readiness to intensify cooperation in a number of joint projects that are being implemented. As a result, agreements were reached on the establishment and development of cooperation.